Maybe you’ve always dreamed of tending horses. Maybe you’re just tired of the big city and looking for another way to earn a living. Whatever your reasons for thinking about buying a farm, here are four steps that you’ll need to take before whipping out your checkbook. How will your farm make money? If you’re buying an existing plot of land, it might already be cultivated for livestock or agriculture. If you’re starting from scratch, you might need to invest in new equipment, specific supplies or a particular kind of soil. Regardless of the details, make sure that you do your homework about your future source of income. This is another major thing to consider. How much land will you need for your particular farming plans? Look for general wisdom on the subject. 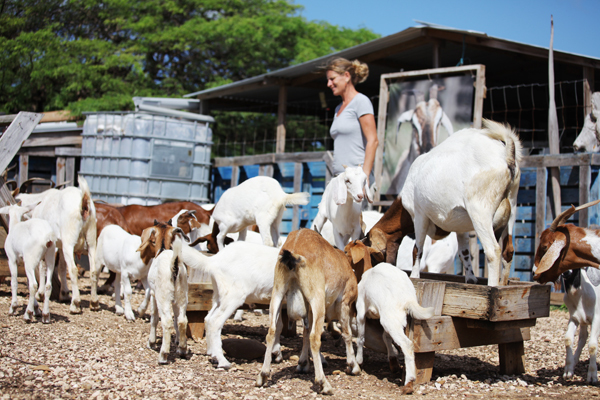 For example, the rule of thumb about raising cows is that you’ll require one acre of land per animal, but raising goats will only require a half-acre per animal. You can skip this step if you’re buying a farm that’s already equipped with things like barns, sheds, outhouses, orchards, groves, vineyards and family homes. If you’re buying new land, however, you’ll need to break out the graph paper and start plotting. Where will everything go? How much can you afford to build right away, and what will need to be added or expanded over time? Speaking of budgets, it’s critically important that you pay attention to your finances as you plan your future farm. Don’t overspend just because you’re feeling the thrill of doing something new. On the flip side, don’t be afraid to make an investment in a truly useful product that will lower your farming costs over time. Something like a farm gate automatic opener can really benefit you in the long run. These are just a few tips for starting or buying a farm. It won’t always be easy, but when you’re living off the land and enjoying the benefits of self-sufficiency, the effort will be worth it!